Vietnamese electronics retailers expect growth and expansion in 2016, as the country continues to present ample opportunities. Mobile World Group (HoSE:MWG) is considering buying a retail chain to increase its number of stores in 2016, CEO Tran Kinh Doanh was quoted saying at the February annual shareholders’ meeting. The company currently has two chains. The first, consumer electronics chain thegioididong, now has 600 stores, with an area of 100-200 square metres each, in all 63 cities and provinces. It reported holding a 30 per cent market share in the mobile phone market. Meanwhile, the second, home appliance chain Dien May Xanh, with 90 stores in 51 cities and provinces, with an area of 1,000-2,000 square metres each, holds a market share of 8 per cent. In 2015 MWG earned a revenue of VND25.4 trillion ($1.14 billion), and a net profit of VND1.07 trillion ($48 million). In 2016 MWG’s revenue is expected to reach VND34 trillion ($1.52 billion), with a net profit of VND1.4 trillion ($62.2 million). Meanwhile, Tran Anh (HNX:TAG), traditionally strong in the north, is planning to expand to the south. TAG marketing director Ngo Thanh Dat said that by the end of 2018 the market is going to stabilise and all the big chains will have claimed their share, leaving three years for all companies to carve out as large a piece as they can. According to Dat, this year TAG plans to open 10-12 big stores in the north, and by 2018 they will have 100 stores all over the country, prioritising opening big stores first, then medium and small ones later. 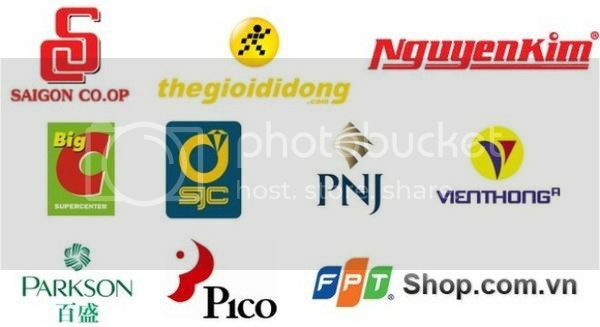 In 2015 FPT Retail, which runs the FPT Shop and F.Studio chains, had a revenue of VND7.8 trillion ($350 million). In 2016, the company targets to increase its revenues to VND10 trillion ($450 million). According to the general Statistical Office of Vietnam, the first quarter of 2016 saw a 9.1 per cent increase in the retail sales of goods and services on-year. VietinBank Securities research and analysis deputy director Dang Tran Hai Dang said the size of the Vietnamese retail market was $102 billion in 2015 and may grow to $179 billion in five years. “Vietnam has a population of 93 million, 60 per cent of whom are young, making the market very attractive,” he said. Market research company GFK Retail and Technology Market Research Vietnam Limited estimated that in 2015 Vietnamese people spent VND139 trillion ($6.2 billion) on electronics. Annual spending is predicted to increase in the 2016-2020 period, along with the increase in income per capita.